Microsoft, Fuel Entertainment, and LightBox Entertainment will try to find Atari carts lost to time, and trash. The hunt for the buried E.T. Atari 2600 cartridges is back on, according to Alamogordo News. Back in March, we reported that the excavation was halted due to environmental concerns, after the New Mexico Environment Department said the initial dig plan was too lacking in detail. That dig is back on, after the involved parties submitted a new dig plan that meets several new specific conditions. Xbox Entertainment Studios, Fuel Entertainment, and LightBox Entertainment, the three companies that want to excavate (and film said excavation) must notify the NMED five business days before starting the dig. All three companies must also "...register as certified or commercial haulers of waste with the NMED before they can remove any waste from the site." A Microsoft spokesperson told Alamogordo News that plans for the dig are being finalized this week, so hopefully we'll get our eyes on some partially-decomposed E.T. carts in the coming weeks. E.T. 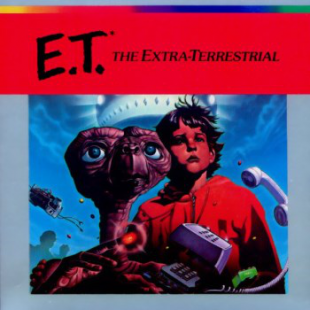 The Extra Terrestrial was one of the great movies to come out of the 1980's, but the same cannot be said of its video game adaptation. The licensed Atari is a "classic" in the sense that it's one of the biggest video game flops of all time, and is considered by many to be the worst video game ever released. Because of the success of the film, Atari manufactured more copies of E.T. than there were Atari 2600's sold, which led to an extreme surplus of cartridges. This surplus was, reportedly, disposed of in the Alamogordo landfill. All three companies must also "...register as certified or commercial haulers of waste with the NMED before they can remove any waste from the site." So wait...you're telling me that XBox Entertainment Studios is officially registered in New Mexico as a "certified or commercial hauler of waste"? Boy, won't they be surprised when they find Jimmy Hoffa's body instead! Man I hope that they packed an NES into the truck along with a screen and power to play it. If they do find the place, the first thing they should do is try to get the cartridges to work and experience the horrors first hand. I'm not entirely sure if this is serious so I might be making a fool of myself but, ET was for Atari 2600 and predates the NES. also the practice at the time was to destroy the cartridges before sending them to the landfill, so they're not likely to find intact cartridges, just a lot of fragments. My flub, end of the work day. Thank God it's friday. I hope they find them and incinerate them in the fires of Mount Doom. Surely something so evil can only truly be disposed in this manner. I actually found an intact cartridge on an expedition out into the desert with a small group. Herbert, my DM and guide, bought a map drawn on the back of a TGIF table mat from a grizzled, rambling man who once worked in a Video Express, something that harkened back to anchient times where libraries of VHS and game cartridges could be bought or rented, known as "The 80's". It took weeks to find, but we eventually deciphered the map's writings and faded words under potato skin grease stains and set to work excavating right away. The ground on which we were digging gave way and I fell into a cavern made of concrete. When I came to I heard the sounds of the digging team calling for help but I was alone in the dark, dusty tomb. A crack sent a shaft of light on a single plastic case atop a pile of crumpled debris, and while I knew I shouldn't, I walked toward it... I was drawn to it. Its texture was both soft and rough at the same time, with a label showing "E.T.". It was an impossibility, something that shouldn't exist, yet I held it in my hands. I traveled back to the city, but I couldn't help be feel a sense of dread, like I shouldn't have ever set foot inside the old unsold games' tomb. I played the game with few friends on their Atari consoles which they saved from their brothers or fathers, and the horrible things I saw on those screens could not be described. Was this made over a weekend? This was awful! I soon found out days later that my friends were brutally murdered, skin shreded from their bodies, faces turned inside out... and the Atari consoles were melted into still warm puddles. I couldn't help but feel responsible for what happened to them. Something was following me. To my horror, I found Herbert had been killed as well when I went to ask him about what was happening. His multi-sided dice and carefully painted figurines for his table top games were shoved down his throat an filled him until he split down the middle in a grusome display... Warhammer figures were tangled in his intestines. No amount of perfect 20's could have saved him. A darkness was out there, killing anyone that came into contact with this damned game, and it was after me. The sounds of old Atari games and glitched screens haunted my nightmares. I was screaming for 8-bit visuals. I e-mailed everyone on Herbert's contact list, hoping someone could tell me what might be going on, recieving replies that were of little help... and forwarded messages containing government conspiracy theories littered with animated gifs. I did get a cryptic e-mail from someone telling me he knew what was after me, that I could hold back the darkness, the guardian of the cartridge, the universe itself would stop at nothing to kill me and reclaim the game. Anyway, I'm now headed to meet some Prussian baron in his castle somewhere in the woods... seems legit. You fool, the moment they unearth it, the cartirdges will unleash a terror that will plague the land. It's like opening the Ark of the Covenant! The funny thing is E.T. isn't that bad for an Atari 2600 game. Or at least it was good for a 2600 hundred game that was more advanced than "shoot the line at the square with your triangle", which was about as complex as games on the system can usually get without the user having to read the instructions to know what the hell is going on. It's just that the people who ran Atari were EA-levels of stupid and produced too many carts for big games like this and Pac-Man. And by too many I mean they made more than there were Atari 2600s in circulation at the time. They also gave the 1 man who programmed this game only a few weeks to make it. It was the same guy who made the overall best selling (and one of the best playing) Atari game "Yars Revenge"
I had honestly almost wished that they weren't going to be given permission. The final resting place of the E.T. carts is one of the greatest mysteries and debates in the gaming world. To see it all come to an end is almost sad. I will admit that I am extremely curious just like most people if the legend is true or not, but part of what makes a legend so appealing is the fact that it's just that, a legend. If we knew for certain whether or not those carts were in the landfill there would be no legend about it. It would just be another piece of history to be read about and probably forgotten until somebody wanted to use it as some little random piece of trivia. As much as I want to know the truth, I say end the project now. Let this little piece of our history remain the way it is. They won't stop though, human curiosity is just too strong, as is the money they'll probably rake in from the sales of the movie. The cult of Tsathoggua, actually. They must be prepared for them now, and soon the lazy god will plant its buttocks into Mexico to rule forever. Wasn't this the plot of the AVGN movie? I swear it was. Anyway, I'm pretty sure they won't find anything playable. It would be a miracle if they do though. They found them, everyone get to the bunker! THE APOCALYPSE IS NIGH!